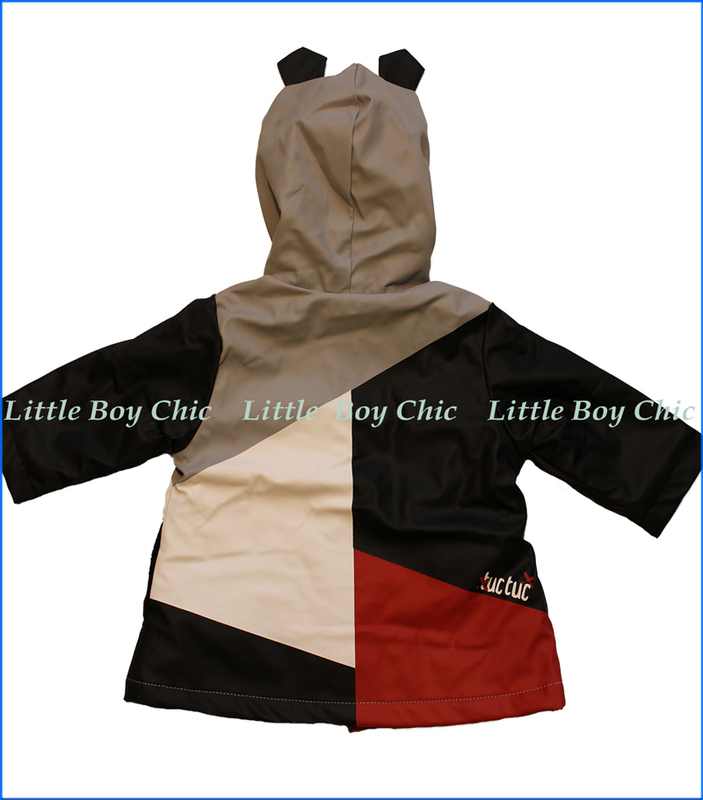 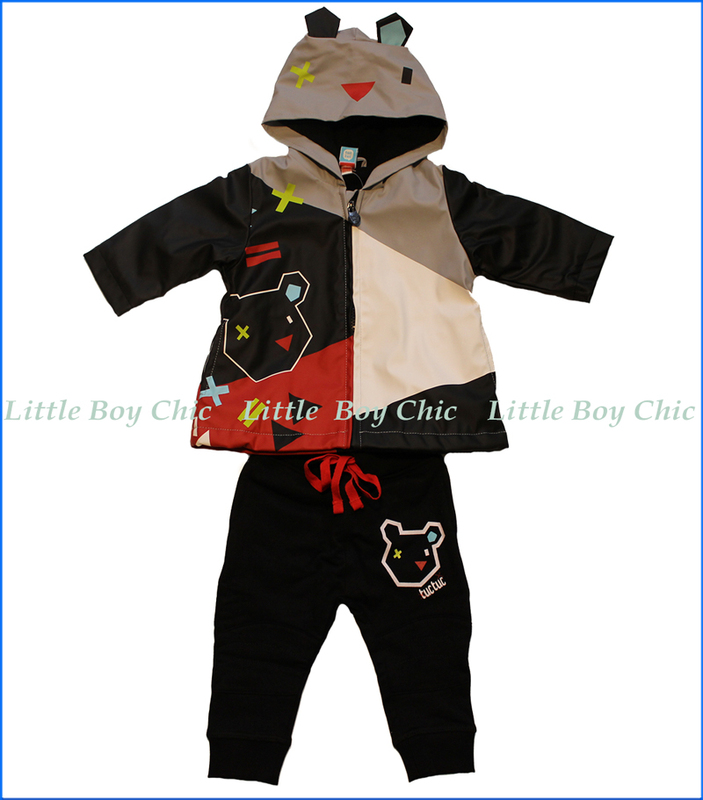 This adorable raincoat by Tuc Tuc has fun design details and a quality construction. 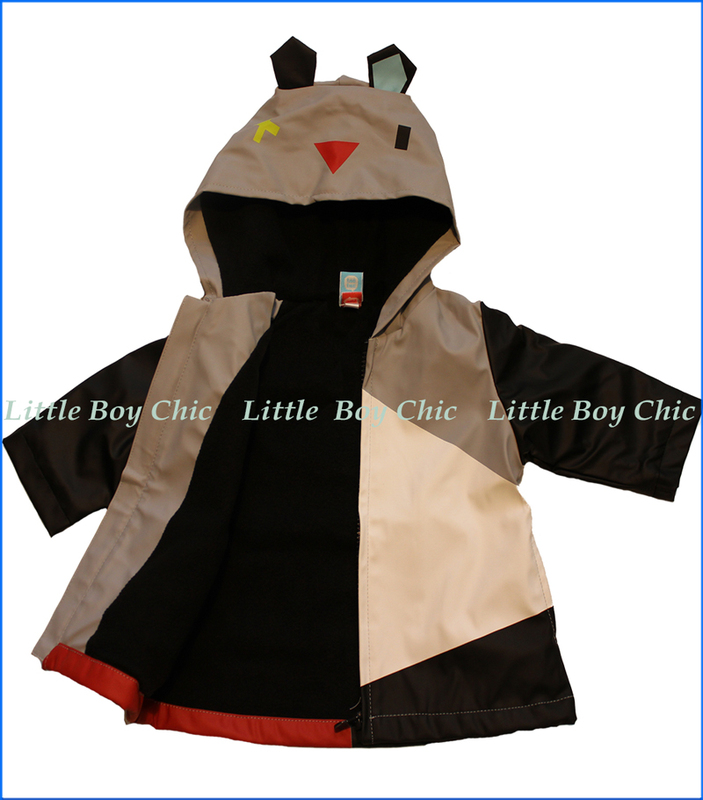 The lively geometric shapes adorn it throughout, while the playful ears on the hood present a priceless photo op. 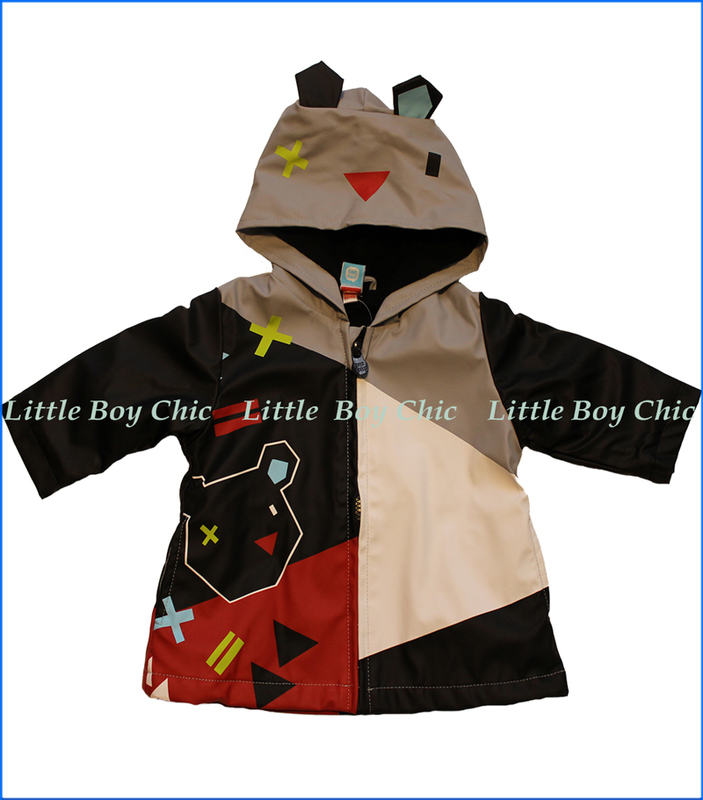 It features a full-zip front, fully lined interior (including the hood), and a water-resistant wind-breaking exterior.